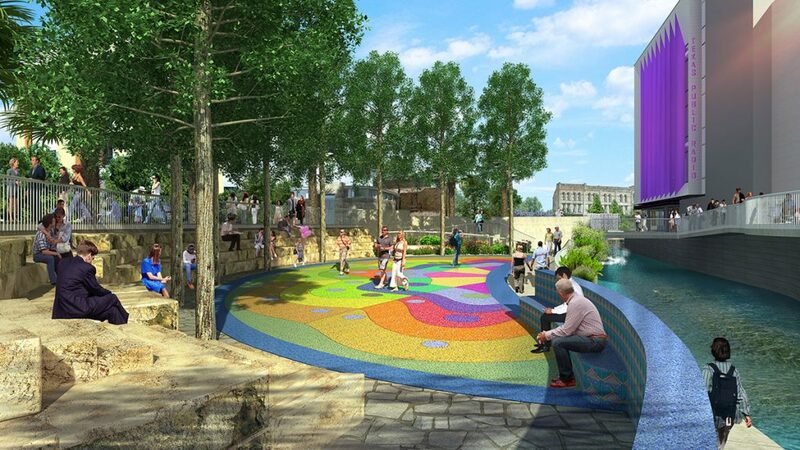 Bexar County commissioners Tuesday unanimously approved nearly $60 million to complete the segment of the San Pedro Creek Culture Park project currently under construction—about three blocks from Houston Street south to Nueva Street. 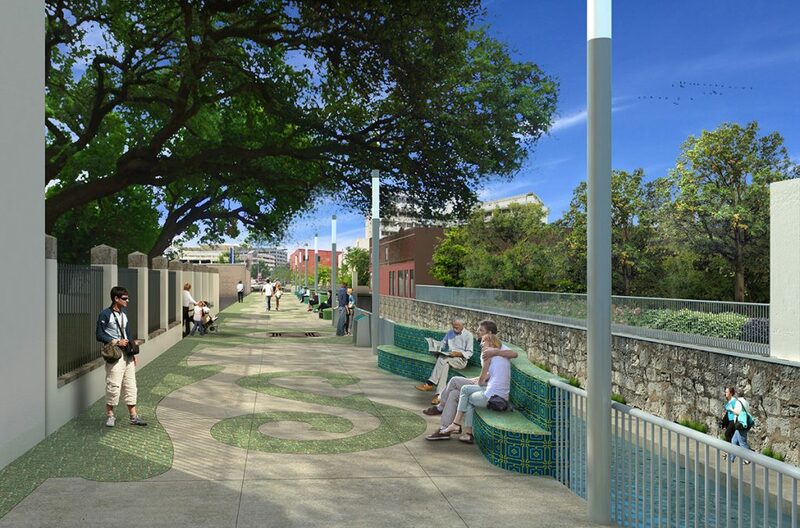 The entirety of Phase 1.2 will cost $74.7 million, a 20 percent increase from initial estimates, said Kerry Averyt, San Antonio River Authority (SARA) Senior Engineer and San Pedro Creek project manager. To date, the total project has a cost about $178 million. Initial plans for an amphitheater were scrapped in favor of a functional plaza, adjacent to the Alameda Theater, that will allow for public event rentals, receptions and special cultural performances. 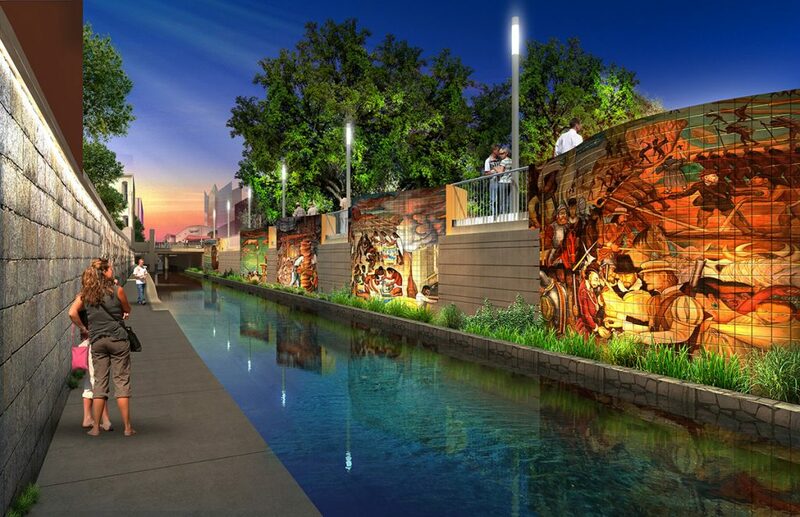 The updated design also includes a water wall spanning 230 feet, which will help keep visitors cool and improve water quality, and a series of murals that depict the “epic history” of Bexar County and San Antonio. The segment is just one of the many developments planned for the area. SARA officials have begun working with the University of Texas at San Antonio, following its recent announcement of a multimillion-dollar expansion that will bring its new School of Data Science and relocate its College of Business to the creek, to incorporate the creek’s design with the design of the campus, while creating an inviting space for students. From the $59.38 million approved on Tuesday, $48.49 million will be used for construction; $3.06 million for project management services; $4.84 million will go toward construction services and archeological studies, and $3 million will be used to complete pre-construction and designs for the third segment of Phase 1 and Phase 2. Those designs are expected to be completed by October 2019. 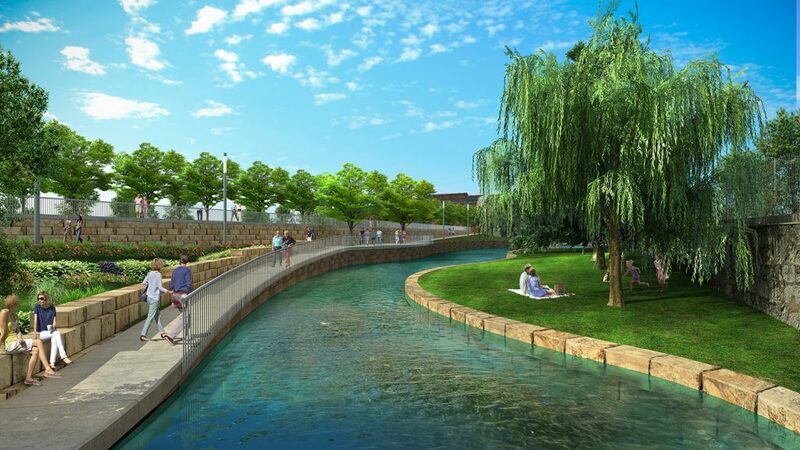 SARA officials Tuesday stated that $39.98 million of the total available funding was designated for San Pedro Creek Culture Park, and that utility companies such as SAWS and CPS Energy would reimburse $2.48 million. Commissioners approved $16.4 million in county funds from a federal government reimbursement, specifically for the 2013 Mission Reach project. The presentation did result in some confusion about project costs, as well as the cost of redesigns. “The numbers, when I add them up, are really adding up,” said County Commissioner Tommy Calvert, who called for a future off-session meeting with SARA. SARA officials said they would send a more detailed breakdown of the costs, but that the funds spent on redesigns help save on construction costs down the road, SARA General Manager Suzanne Scott said. “It’s a balance,” she said. 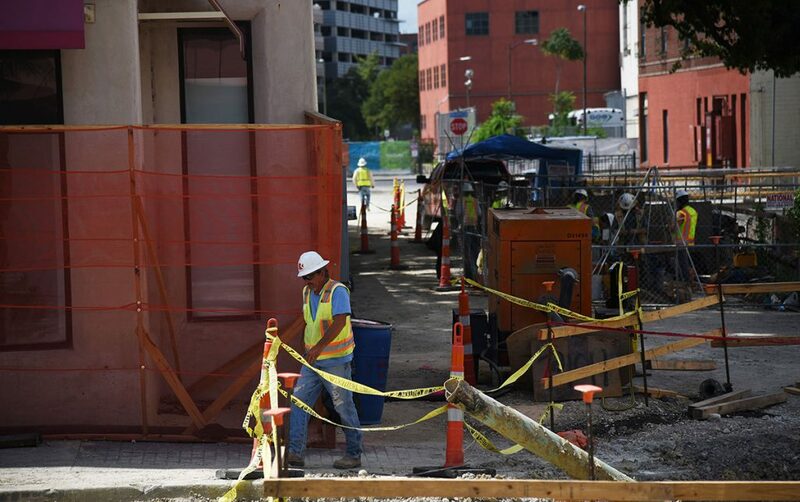 The first segment of Phase 1—from the flood tunnel inlet behind the Fox Tech campus to Houston Street—was completed under budget and opened in May. However, the park closed in June for redesigns after children swam in an area intended for wading and with potentially harmful bacteria. SARA officials said they would consider ways to make Elizondo’s proposed potable water segment a possibility, but it would require finding a way to prevent runoff contamination, safely convey stormwater and receive special permits from both the state of Texas and the U.S. Army Corps of Engineers. In order to make our local rivers and creeks world class, local government must install the necessary water purification infrastructure throughout. When it comes to water and children, nothing makes them stronger than a swimming hole and the warm Texas sun (and a healthy diet). San Pedro Creek at Flores St. already looks pristine, great work on that. Imagine the communities in close proximity and beyond enjoying the summer days along our numerous waterways. Thousands of families spending there evenings relaxing along our waterways. This investment would be a gift that keeps on giving. For too long, we have turned our backs on this valuable gift from nature. 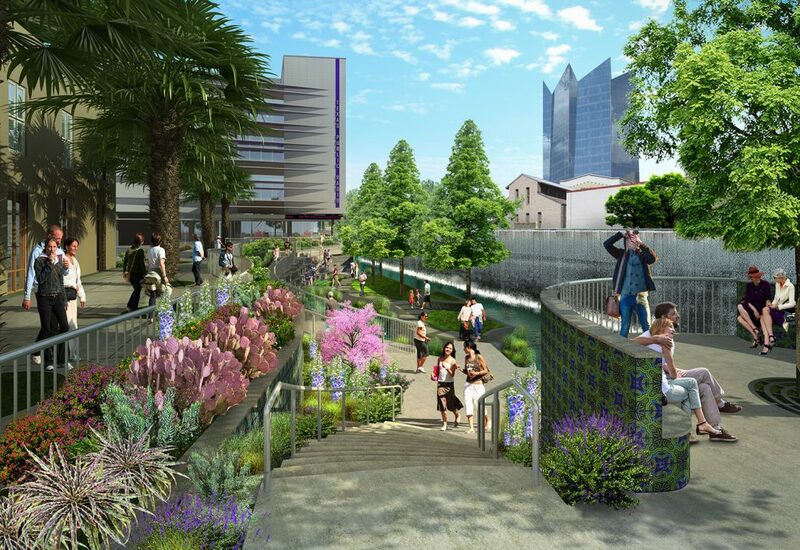 The idea is already there in the San Pedro Creek Expansion Project. We should continue this, but from a more natural, people and water sharing perspective. From the beginning of human settlement, it’s inhabitants have benefited from the pristine waters of the Edwards Aquifer, it’s just the natural thing to do. This asset must expand throughout the city and county for all to enjoy. As we use to say in military basic training. “Too easy Drill Sergeant, too easy”!